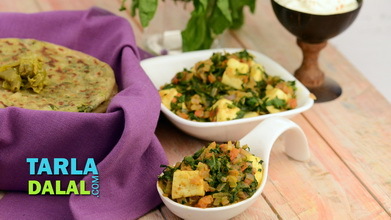 Like tandoor-cooked stuff, tava-cooked foods also have a unique flavour and consistency. 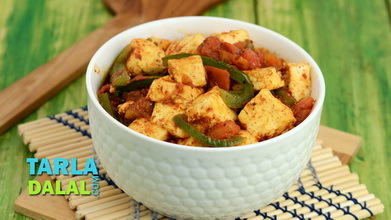 This realization will come alive when you try this fabulous Paneer Tava Masala. 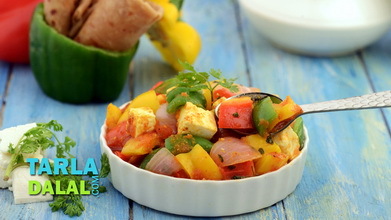 A semi-dry preparation of marinated paneer with common spices and spice powders, tomato pulp, fresh cream, and all the works, the Paneer Tava Masala features a mind-boggling array of flavours, thanks to the addition of roasted caraway seeds, kasuri methi and chaat masala too. 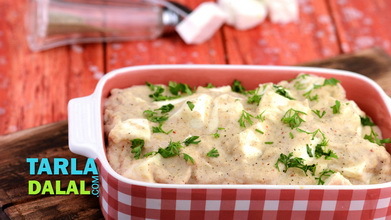 The aroma and flavour are undoubtedly enhanced by cooking it on the tava – try it to believe us! 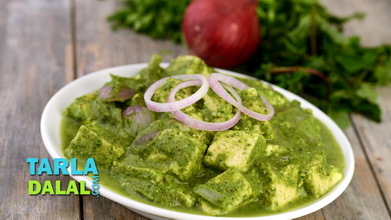 Combine the paneer, dried fenugreek leaves, chilli powder, turmeric powder, chaat masala and salt in a deep bowl, mix gently and keep aside for 15 minutes. 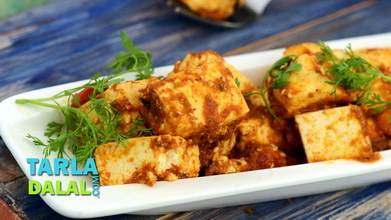 Heat 2 tbsp of oil in a non-stick tava (griddle), add the marinated paneer and cook on a medium flame for 3 minutes, while stirring occasionally. Remove and keep aside. Heat the remaining 2 tbsp of oil in the same non-stick tava (griddle), add the cumin seeds and carom seeds and sauté on a medium flame for a few seconds. Add the onions and sauté on a medium flame or 1 to 2 minutes. 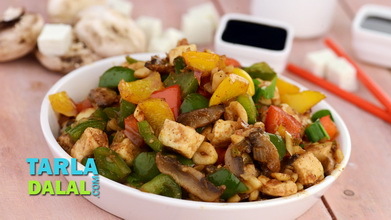 Add the garlic paste, green chillies, coriander powder and a little salt, mix well and cook on a medium flame for 1 minute, while stirring occasionally. 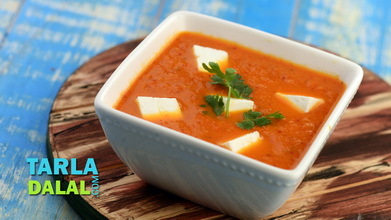 Add the fresh tomato pulp and caraway seeds, mix well and cook on a medium flame for 2 minutes, while stirring occasionally. 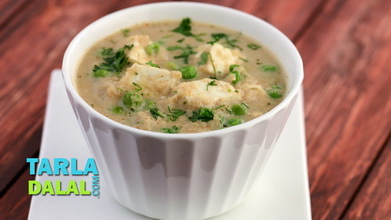 Add the cooked paneer, fresh cream and garam masala, mix gently and cook on a medium flame for 2 minutes, while stirring occasionally.